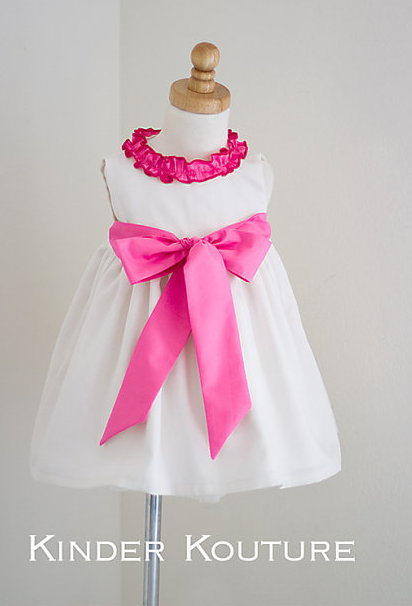 Here is another “perfect” party dress – Creamy Flower Girl Dress – that I recently added to the website. 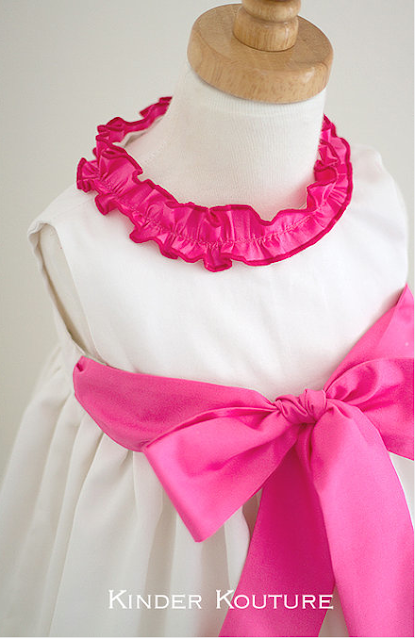 It is made out of a cotton sateen fabric with a shiny surface, no matter how many times you wash the dress. In this case, the dress was made with a pink sash and neckline ruffle, because the customer needed it for a wedding. However, the wonderful thing about this dress is that it can be combined with any color the customer chooses. This dress is perfect for church, communion, Easter, Christmas (yes, I have it in red too LOL), Graduation and so much more. It is so lovely.